In search of... trinkets, trays and just plain FUN accessories for clients (er um myself), I came across this fabulous line of gorgeous details at Iomoi. I need a very large tray (preferably lucite) for my very large (preferably clean) ottoman. I figure if I simply draw the eye away from the many stains, by creating a new table scape. 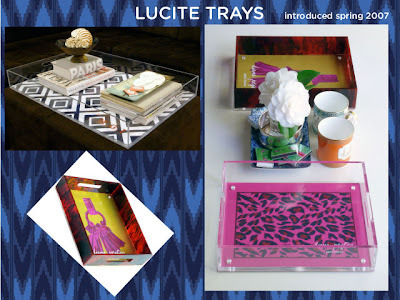 These trays add a whole new meaning to "table scape". Did I mention, you can pick a pattern? Yum. I recently bought a $40 bookcase at an estate sale (that's another post) and it started me on a make over of my office. What if I had big lucite containers filled with these fab pens and pencils? I know that letter writing is a lost art, but think of how you could brighten someone's day with a note on this beautiful paper. I mean, Dear Preston... thank you for making my day. Your style is impeccable. Check them out, you won't be disappointed! 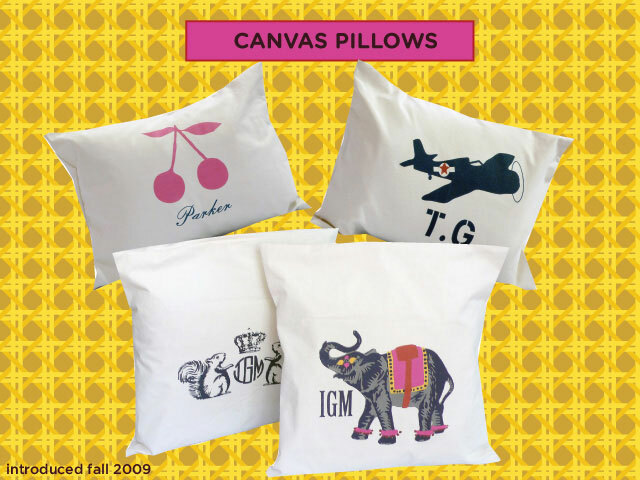 that elephant pillow and gold elephant thing-a-magig are so cute!